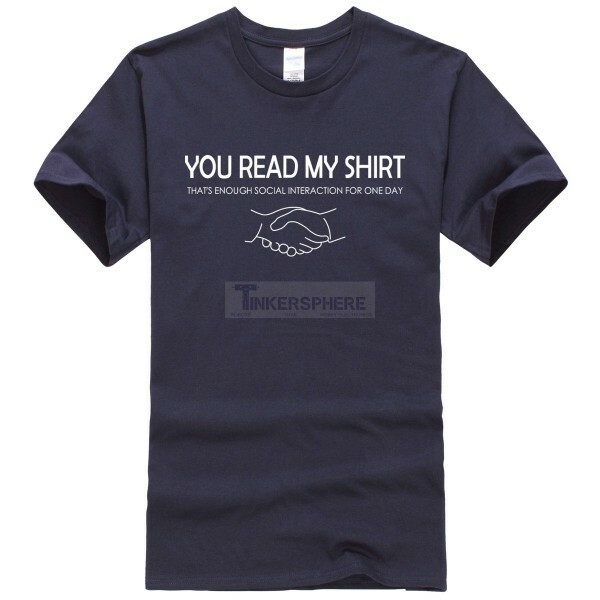 "You Read My Shirt, That's Enough Social Interaction for One Day". Men's Sizes. Soft, elastic fabric for extra comfort while in the workshop, home, office or on the go! "You Read My Shirt, That's Enough Social Interaction for One Day"